A very enjoyable third person action game bridging Star Wars Episode III and IV. Even if you’re not a fan of general sci-fi, chances are you’ve enjoyed Star Wars at some point in your life. The series is filled with amazing action, memorable characters and quotable dialogue. It also creates a deeply rich universe where videogames are an ideal medium to explore deeper into the elaborite space opera that is Star Wars. 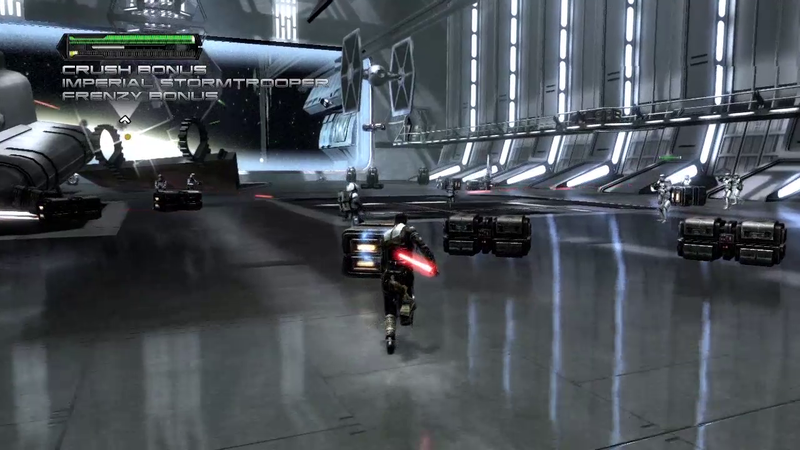 In 2008, Lucasarts released Star Wars The Force Unleashed for PlayStation 3 and Xbox 360, while another similar game under the same title was made by Krome for the less powerful systems such as the PS2, Wii and PSP. 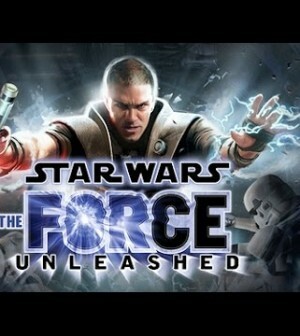 Force Unleashed is one of my favorite Star Wars games ever. It’s got an awesome story and concept and although it also has some minor issues, they are well worth overlooking give how amazing the game is overall. 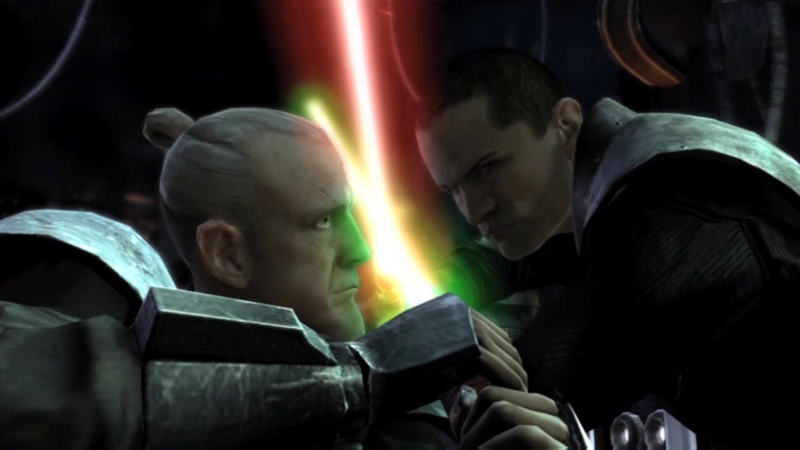 The Force Unleashed is a bridging story that takes place between Episode III and IV, mixing the best elements of the new trilogy in with the old. 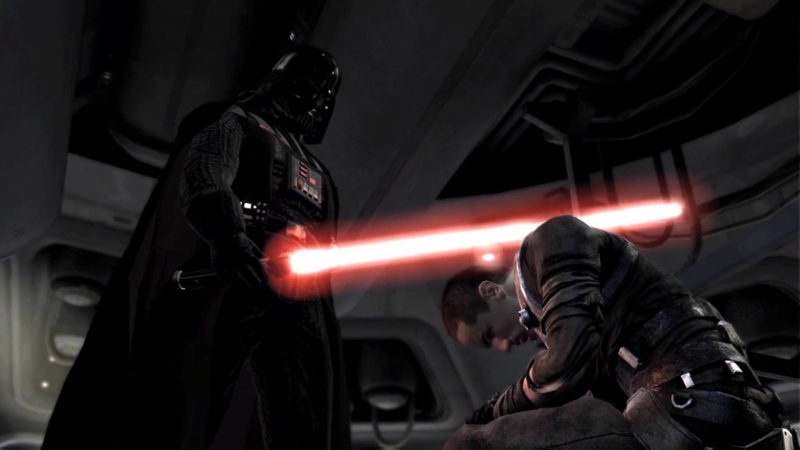 The story focuses on the child of a Jedi abducted by Darth Vader, renamed Starkiller and indoctrinated to the Dark Side of the Force as Vader’s secret apprentice. As this titular anti-hero, you’re sent on missions to murder Jedi survivors. The game is a third person action game where you wield a Lightsaber and Force powers, such as being able to pick up and fling around foes or shoot lighting from your fingertips. Playing as Starkiller just feels awesome. He is a total badass who can do anything, not giving a f*** who or what is in his way. By defeating enemies you can upgrade Starkiller’s various attributes such as the force push or unlock new lightsaber combos and abilities, meaning by the end of the game he’ll be even more awesome than what you’re seeing right now. As the game progresses you can even customize his lightsaber blade’s color and Starkiller’s appearance. It’s very cool stuff. The visuals are great as is the background music, but the real star of the show is the voice acting. All of the voice actors fit their roles amazingly well, including Matt Sloan playing the role of Vader. In case you didn’t realize it, Sloan plays and voices Chad Vader in the popular internet comedy series of the same name. As with most games, there are some minor problems to be found here. Load times are somwhat lengthy, there’s a bit of screen tearing here and there, and the game can be frustrating at times, both due to the enemies and due to sometimes not perfectly obvious progression in the level designs causing some trail and error before you find the correct path forward. Still, this is a very enjoyable game and is well worth picking up these days especially given that it can be found for less than $10. My name is Brady. I'm a retro gaming enthusiast who has been playing games since I was little. I love console gaming and all things tech. I also has a penchant for import games, controllers, arcade sticks and accessories, I've been learning Japanese for the past few years, and have a passion for all things Japanese culture.